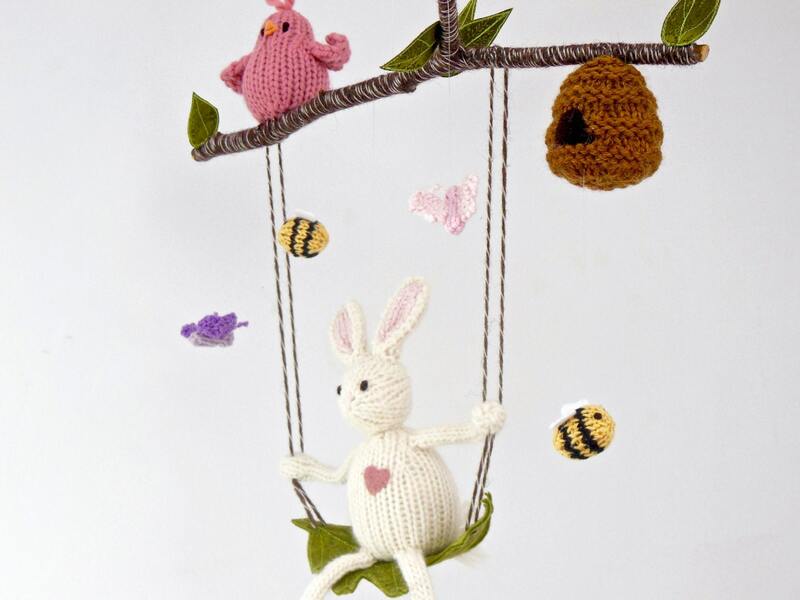 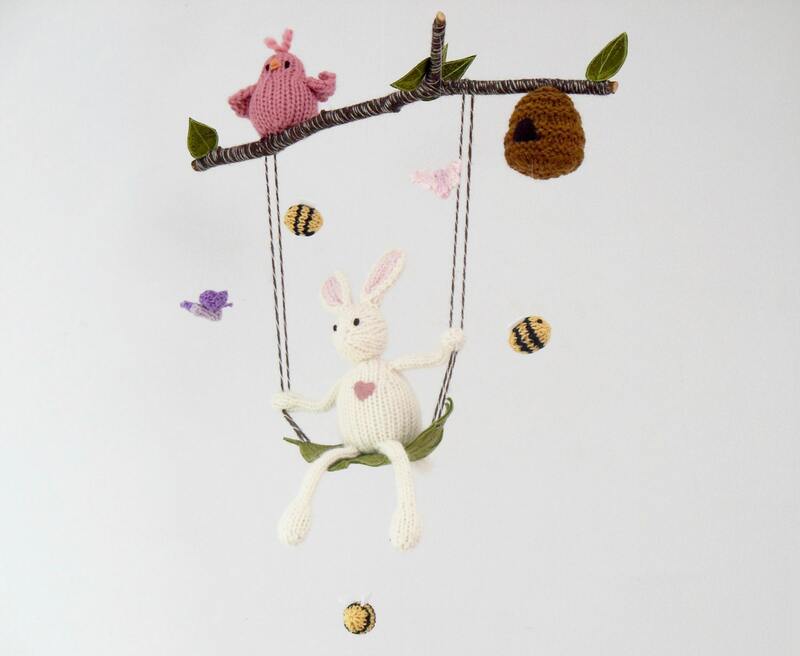 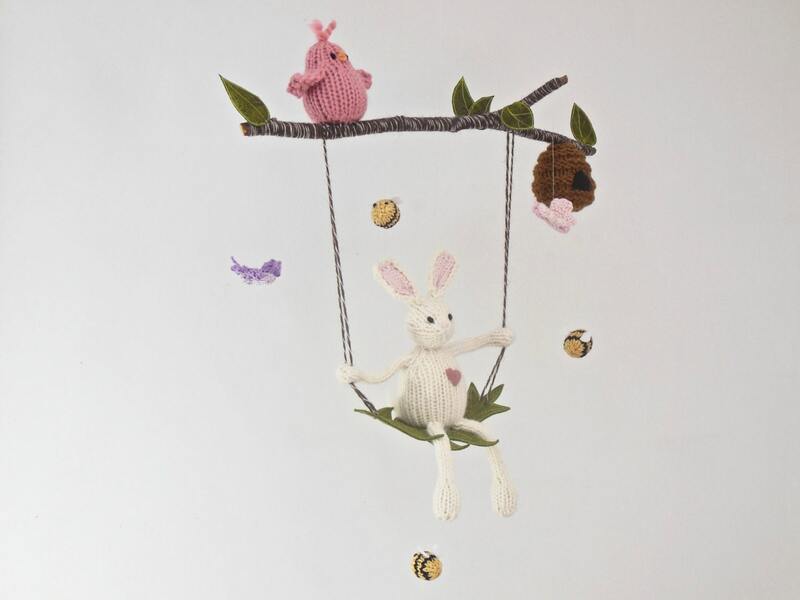 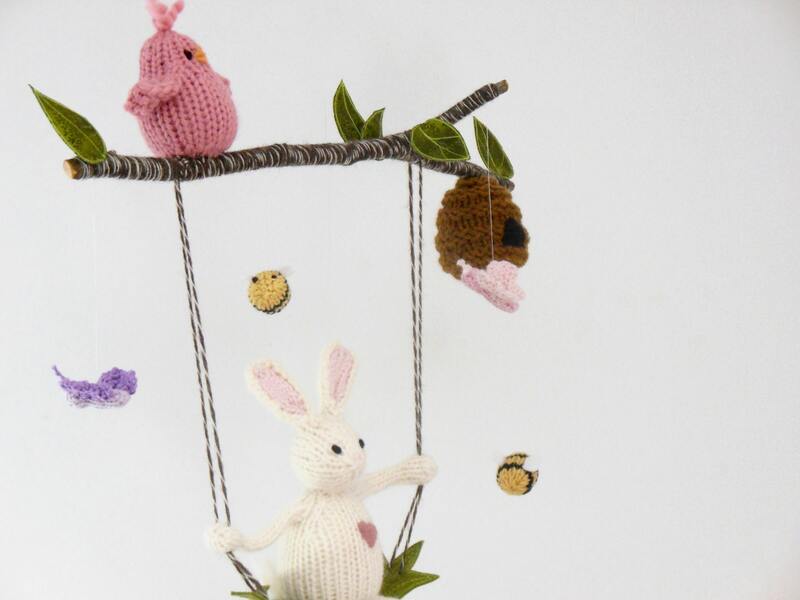 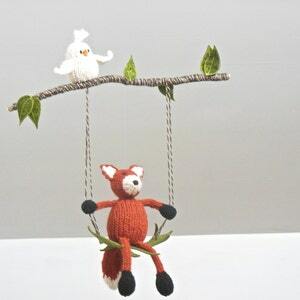 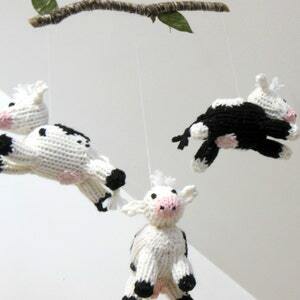 Made with natural and eco-friendly fibers, this bunny, bee and butterfly mobile will add a touch of whimsy to any nursery or playroom. 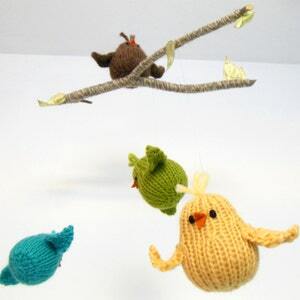 ♦ Two 36-inch strands of monofilament are attached and a small golden ring included for hanging. 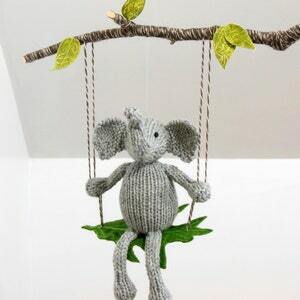 Please let me know if you need a longer strands of monofilament. 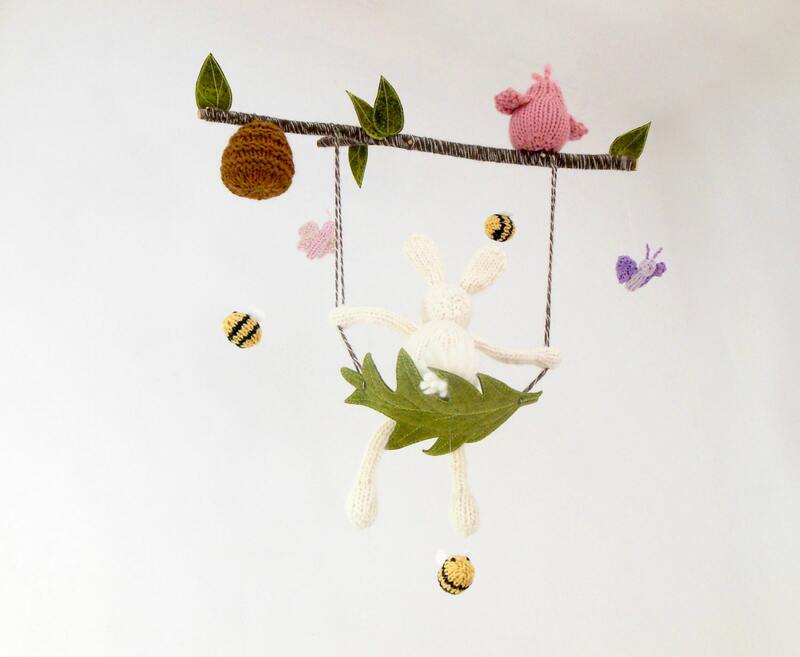 ♥ Special thanks to my lovely customer and her little one for allowing me to share their picture.